We do love our seasonal veg, and when it's UK pea and bean time we do whatever we can to offer the best of British to our customers. We source from our farmer friends all over the UK and we grow our own broad beans and dwarf beans too. We support www.tastesofsummer.co.uk as a consumer campaign and source of further information about peas and beans – along with www.thinkvegetables.co.uk, of course! 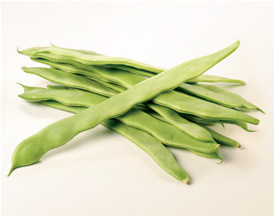 DGM offers our own broad and dwarf beans, with a full range of legumes available, sourced from UK farmers.